Born in Palestine in about 280, George joined the Roman army as a knight and died as a Christian martyr after being tortured many times over. 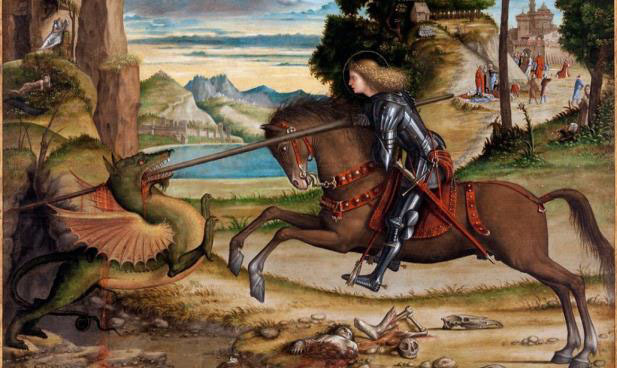 Legend has it that he delivered a town terrorised by a dragon that devoured young girls. Because of his military valour and heroism he was venerated early on by soldiers and knights for the chivalrous ideal he embodies. England chose him as its protector in 1222. 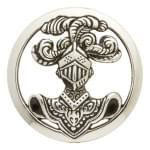 The armored cavalry, created in 1942 by the French Tank, Cavalry and Horse Artillery Units, chose him as their patron saint for the values he represented: receptiveness, decisiveness, composure, sangfroid, vivacity and panache. The 23 April is the occasion to celebrate the esprit de corps and values of the cavalry.